New Delhi, India; June 12, 2018: GE Power’s Grid Solutions business (NYSE: GE) has launched in India a first-of-its-kind Advanced Distribution Management Solution (ADMS) in collaboration with Tata Power Delhi Distribution (Tata Power - DDL), a pioneer in India’s power distribution landscape. The project has been executed by GE T&D India Limited – the listed entity of GE Power Grid Solutions in India. 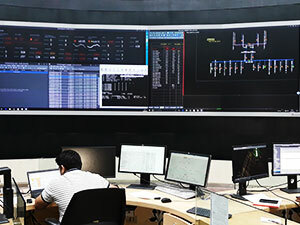 The newly launched ADMS will facilitate advanced monitoring, analysis and improve control and planning operations, enabling Tata Power-DDL to enhance the reliability, safety, and efficiency of Delhi’s distribution network. The system is set to benefit more than seven million people living in the north and west part of the Indian capital, an area that experiences a peak load of more than 1,850 MW. For GE Power’s team this is a major milestone as it is the first project in India with an integrated GIS (Geographical Information System) – DMS (Distribution Management System) – OMS (Outage Management System). The system integrates Smallworld GIS with GE’s ADMS using standard adaptors.